It's bitterly cold here today and the east wind is finding every little crack to whistle through. I'm really pleased I finished my smoke ring because it's the cosiest thing to have a little light alpaca around my neck, and like the wristlets, is far more effective at keeping me warm than it might suggest. 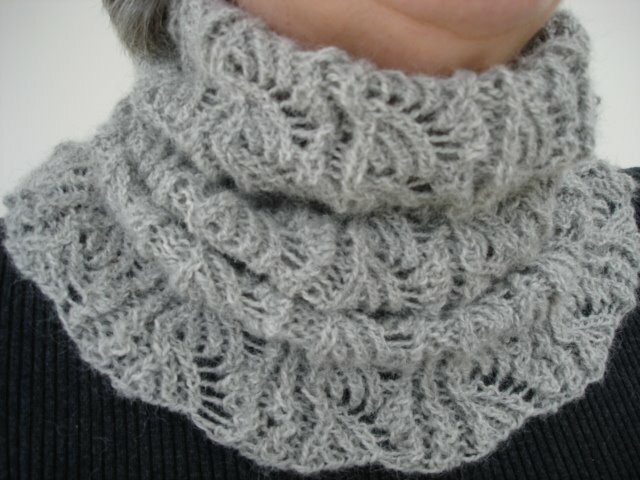 I think I'll knit this pattern again. You know what that means, don't you? I need more yarn!